Now this is not the first time Windows UAC has hit the news for being flawed, back in February 2009 it was discovered that Windows 7 UAC Vulnerable – User Mode Program Can Disable User Access Control and after that in November 2009 it was demonstrated that Windows 7 UAC (User Access Control) Ineffective Against Malware. A zero-day for Windows 7 back in July of this year also bypassed Windows UAC. Once again a serious zero-day has hit Windows, this time an unpatched vulnerability in the Kernel. So far it only seems to be a local exploit, for full devastating effect hackers will need to combine this with a remote zero-day to get access to the machine and then elevate their permissions and bypass UAC with this. One security firm dubbed the bug a potential “nightmare,” but Microsoft downplayed the threat by reminding users that hackers would need a second exploit to launch remote attacks. The exploit was disclosed Wednesday — the same day proof-of-concept code went public — and lets attackers bypass the User Account Control (UAC) feature in Windows Vista and Windows 7. UAC, which was frequently panned when Vista debuted in 2007, displays prompts that users must read and react to. It was designed to make silent malware installation impossible, or at least more difficult. The bug is in the “win32k.sys” file, a part of the kernel, and exists in all versions of Windows, including XP, Vista, Server 2003, Windows 7 and Server 2008, said Sophos researcher Chet Wisniewski in a Thursday blog post. Microsoft is aware of the flaw but has not yet issued a statement as to when they will be patching this, I’d imagine given their past that will wait for the next Patch Tuesday before pushing the patch out. And plus the fact it’s a kernel bug it, it may take a little more time to fix. The security companies seem to be taking this one quite seriously as the publicly-released code is confirmed working across multiple versions of Windows. There is a very slight chance that Microsoft might push an Out-of-band-patch for this, but I find it unlikely as it’s not a remote vulnerability. Hackers cannot use the exploit to remotely compromise a PC, however, as it requires local access, a fact that Microsoft stressed. “Because this is a local elevation-of-privilege issue, it requires attackers to be already able to execute code on a targeted machine,” said Bryant. “On its own, this bug does not allow remote code execution, but does enable non-administrator accounts to execute code as if they were an administrator,” added Wisniewski. Although many Windows XP users, especially consumers and those in very small businesses, run the OS via administrator accounts, Microsoft added UAC to Vista and later operating systems as one way to limit user privileges, and thus malware’s access to the PC. Attackers would have to combine the exploit with other malicious code that takes advantage of another vulnerability on the machine — not necessarily one in Windows, but in any commonly-installed application, such as Adobe Reader, for example — to hijack a PC and bypass UAC. “This exploit allows malware that has already been dropped on the system to bypass [UAC] and get the full control of the system,” said Prevx researcher Marco Giuliani in an entry on that security company’s blog Thursday. Microsoft has changed the way UAC functions before when it was demonstrated that it could be easily bypassed. The next patch cycle is due on Tuesday, Dec. 14 – which thankfully isn’t too long. I’d be expecting a kernel patch for this issue by then. There were various discussions about how to mitigate against it like using Firefox plug-ins to force SSL connections (where available). Microsoft also tried to secure Hotmail with SSL but kinda b0rked that too. It’s not the first time someone has pulled this off, back in November 2009 we wrote about Using Cloud Computing To Crack Passwords – Amazon’s EC2. Add that with a story way back from 2007 – Graphics Cards – The Next Big Thing for Password Cracking? – and you’ve got yourself an interesting combo with the new offering from Amazon, distributed GPU-based resources. Put those two stories together in true hacker style and you end up with a guy who used GPU instances on the Amazon EC2 platform to crack SHA-1 password hashes. 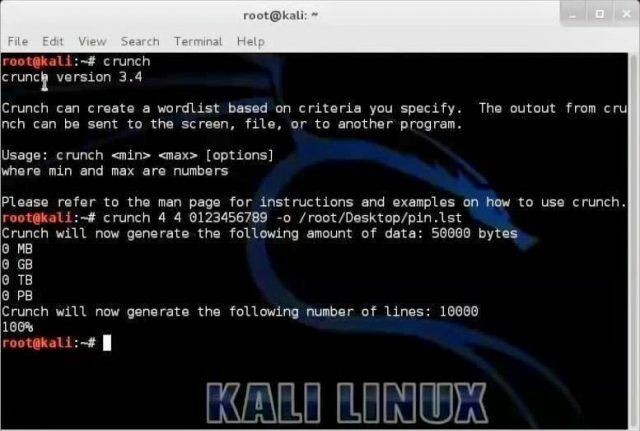 A German security enthusiast has used rented computing resources to crack a secure hashing algorithm (SHA-1) password. Thomas Roth used a GPU-based rentable computer resource to run a brute force attack to crack SHA1 hashes. Encryption experts warned for at least five years SHA-1 could no longer be considered secure so what’s noteworthy about Roth’s project is not what he did or the approach he used, which was essentially based on trying every possible combination until he found a hit, but the technology he used. What used to be the stuff of distributed computing projects with worldwide participants that took many months to bear fruit can now be done by a lone individuals in minutes and using rentable resources that cost the same price as a morning coffee to carry out the trick. Roth’s proof-of-concept exercise cost just $2. This was the amount needed to hire a bank of powerful graphics processing units to carry out the required number-crunching using the Cuda-Multiforcer. SHA-1 was of course cracked way back in 2005, and widely reported on in 2007 – and whilst being phased out it is still used in many applications. But then this attack isn’t really using any flaws in the algorithm – it’s just straight up hash cracking it. The tool he used was CUDA-Multiforcer – GPU Powered High Performance Multihash Brute Forcer. SHA-1, although it is in the process of being phased out, still forms a component of various widely-used security applications, including Secure Sockets Layer, Transport Layer Security and S/MIME protocols. Roth claims to have cracked all the hashes from a 160-bit SHA-1 hash with a password of between 1 and 6 characters in around 49 minutes. The process would create a rainbow table, allowing short and therefore automatically insecure passwords to be matched to their hash. It wouldn’t work for longer length passwords. Even so, the bigger point that rentable computing resources might be used for password hacking still stands. Security watchers warn that the development opens up the possibility of cybercrooks using pay-as-you-go cloud computing-based parallel processing environment for their own nefarious purposes. Cybercriminals might use stolen payment card credentials to fund their cloud cracking escapades “which means they will not be bothered about the cost involved,” he added. Around 12 months ago, another white-hat hacker, Moxie Marlinspike, created an online Wi-Fi password-cracking service called WPAcracker.com. The $17-a-time service is able to crack a Wi-Fi password in around 20 minutes, compared to the 120 hours a dual-core PC might take to carry out the same job. Although there’s nothing really new here, it’s still an interesting implementation of some already known techniques. As cloud/distributed computing becomes even cheaper, I’d guess we’ll be seeing more similar attacks in the future. Of course John the Ripper (JTR) has some built in options for creating permutations from Wordlists.